We’ve ordered the shirts for The Medved Madness Trail Race and Relay. This race consistently produces some of the most popular shirts in the trail running community. This year we will again be using the Hyperlayer FD Short Sleeve Crew from The North Face. The men’s shirt will be lime green (shown above.) The women’s shirt will be spiced coral. Photos are not available of the women’s shirt yet. They will be posted to our Facebook Group when they are available. 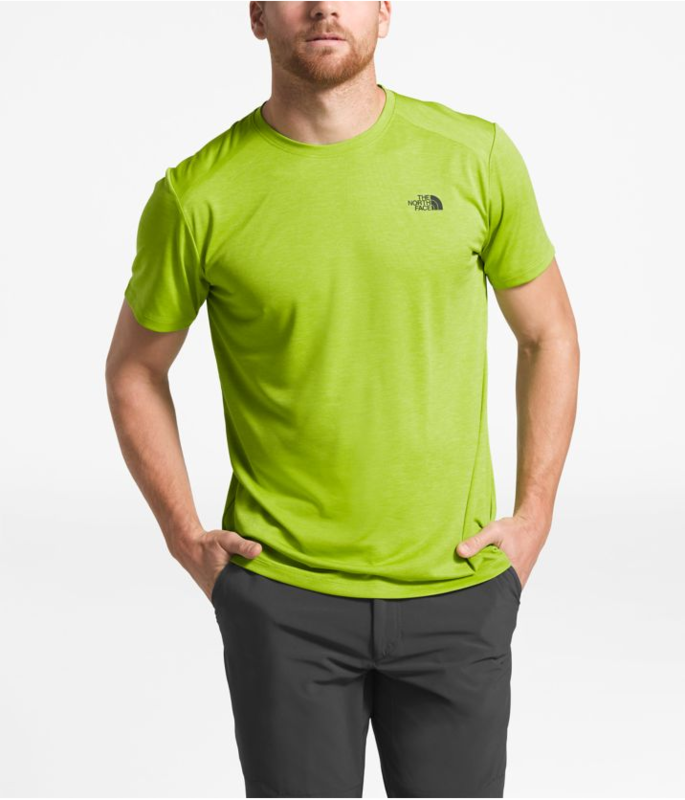 Perfect for day hikes, long runs, and overnight treks, this versatile, lightweight short-sleeve tee offers next-to-skin comfort and protection from the elements. These shirts normally retail for $30.00 each. Combine them with an awesome catered meal after the race and it is easy to see that Medved Madness is a great deal for everyone. Members of The Medved Endurance Project receive $10.00 off on registration for Medved Madness as well as discounts at all of the events and training groups listed below. Sign up today The first 200 registered runners will receive shirts. Spring 5k/10k Training Group – Starts March 13, 2019. Targets for The Lilac Run and Medved 5k to Cure ALS. Learning The Trails Beginner Trail Running Program – Starts April 8, 2019. Gets you ready for the Medved Madness Trail Races. The Get Fit Half Marathon Series: Six great races to choose from. Run your choice of 4, 5, or 6 races and earn some great swag. Runnin’ of the Green Presented by the YMCA in Rochester, NY – Saturday, March 16, 2019: $2.00 off – Automatic at checkout. Sloppy Fools 4-Mile Trail Run benefiting the Monroe Community College Foundation to support MCC’s Healthy Hero Summer Camp. Honeoye Falls, NY – Saturday, April 1, 2019: 20% off – Automatic at checkout. Rochester River Run/Walk 5k in Rochester, NY – Sunday, April 7, 2019: $4.00 off – Automatic at checkout. Earth Day Half Marathon, 5k and Relay in Baldwinsville, NY – Sunday, April 14, 2019: 10% off – Automatic at checkout. 13th Annual Medved Madness Trail Race in Honeoye Falls, NY – Sunday, May 5, 2019: $10.00 off – Automatic at checkout. Mind The Ducks 12-Hour in Webster, NY – Saturday, May 11, 2019: $5.00 off – Automatic at checkout. Run with the Horses 5k in Geneseo, NY – Wednesday, May 22, 2019: $5.00 off -Automatic at checkout. Thousand Islands Half Marathon and 5k in Alexandria Bay, NY – Saturday, June 1, 2019: 10% off -Automatic at checkout. 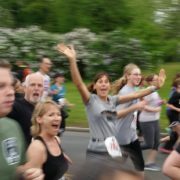 Medved 5K to Cure ALS in Rochester, NY – Sunday June 16, 2019: $10.00 off – Automatic at checkout. Montezuma Festival of Races (Half Marathon, 10k, 5k) in Savannah, NY – Sunday, June 30, 2019 – 10% off – Automatic at Checkout. Candlelight 12 Hour Overnight Ultra and Relay in Honeoye Falls, NY – Saturday, July 20, 2019: $5.00 off – Automatic at checkout. Green Lakes Endurance Runs 50k/100k in Fayetteville, NY – Saturday, August 10, 2019: Coupon Code for $10.00 off. 3rd Annual A Midsummer Night’s Madness Half Marathon and Relay in Honeoye Falls, NY – Saturday August 24, 2019: $10.00 off – Automatic at checkout. Geneva Half Marathon in Geneva, NY – Sunday, August 25, 2019: $10.00 off – Automatic at checkout. Old Forge 10k in Old Forge, NY – Saturday, September 6, 2019: 10% off – Automatic at Checkout. Old Forge Marathon and Half Marathon in Old Forge, NY – Sunday, September 7, 2019: 10% off – Automatic at Checkout. 12th Annual Ovarian & Gynecologic Cancers 5k in Rochester, NY – Saturday, September 14, 2019: $5.00 off – Automatic at checkout. Finger Lakes Half Marathon and 5k in Seneca Falls, NY – Saturday, september 21, 2019: 10% off – Automatic at checkout. Can Lake 50 Ultras in Canandaigua, NY – Saturday, October 12, 2019: $5.00 off – Automatic at checkout. Scare Brain Cancer Away 5k Race and Walk in Fairport, NY – Saturday, October 19, 2019: $5.00 off – Automatic at checkout. E-Race Cancer Half Marathon and 5k in Brodgeport, NY – Sunday, October 20, 2019: 10% off – Automatic at checkout. Feast of Burden 5 Miler in Rochester, NY – Thursday November 28, 2019: $10.00 off – Automatic at checkout. More Events Will Be Added! Sign up for The Medved Endurance Project today and save! Join the Medved Endurance Project for 2019! Endurance Tap: The Best Fuel For Your Longest Runs Kiss Me, I’m a Runner!